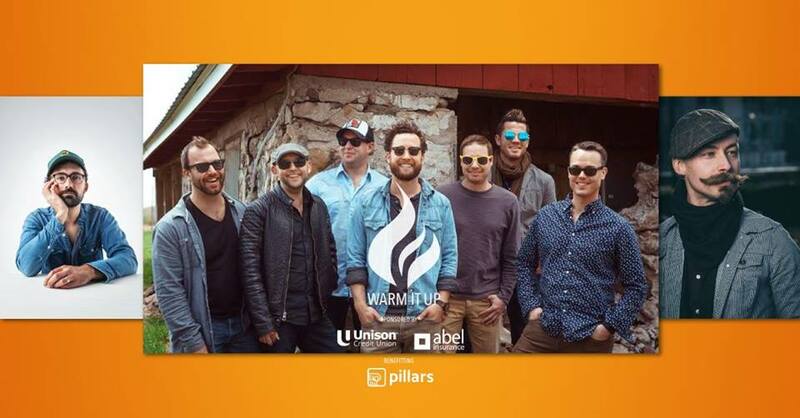 Warm It Up – Benefitting Pillars Inc.
Join abel insurance, and Unison Credit Union as they present the 3rd annual Warm It Up event benefitting Pillars, Inc. , formerly the Fox Valley Warming Shelter, Homeless Connections, and the Housing Partnership of the Fox Cities, on December 11th at Gibson Music Hall. Kyle Megna & the Monsoons will host the intimate musical celebration along with their friends Corey Mathew Hart of Lost Lakes, and Tommy Norris. 100% of the proceeds raised will help Pillars, Inc. in Appleton, WI continue their mission of treating everyone with respect and dignity as they provide all human beings the right to their basic needs of food, clothing and shelter.